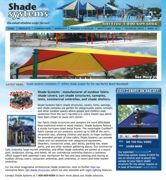 The Shade Systems Web site is the fastest way to learn how Shade Systems can help you provide shade and fly-ball protection on playgrounds, at poolside and on sports fields. Watch the 5-minute Turn-N-SlideTM video to see how easy it is to remove and re-attach your canopy for the winter season or in case of severe storm. Read about the 20-year structural and 10-year fabric warranty, and order a free copy of the 40-page product catalog. BCI Burke's Dynamic Pad is the latest addition to the innovative line of playground linking events. It challenges children to move from one deck to another by building balance and strength. The exclusive component is designed for children ages 5 to 12 and is easily incorporated into Burke's NucleusTM play system. Like all Burke products, the Dynamic Pad Link is backed by the Generations WarrantyTM . Learn more by visiting the Web site. Recreation Supply Company has served the commercial swimming pool supply market for more than 30 years. The company's Web site allows fast, easy, secure access to products and literature, 24 hours a day, year-round. Our sales and customer service are CPO-certified with decades of combined experience in commercial pool supply. 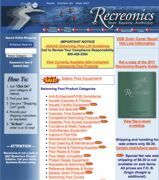 Recreation Supply Company is stocked with thousands of items, and most in-stock orders ship the same day. 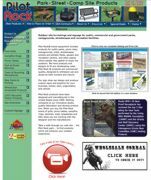 You'll find commercial-quality outdoor park, streetscape and campsite products on the Pilot Rock Web site. The Pilot Rock brand includes park grills, campfire rings, picnic tables, park and street benches, trash and recycling receptacles and lids, animal-proof trash containers, smoker waste receptacles, pet waste stations, lantern holders, bike racks and more. New products and designs are always being added. 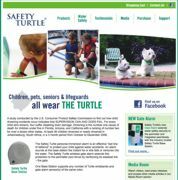 Safety Turtle, a wireless immersion alarm designed for children, is now improving the security at public swimming pools. A sensor attached to the lifeguard's person or rescue tube allows a single lifeguard to respond nearly immediately to an aquatic emergency, rather than having to first activate an emergency call button. The sensor instantly detects immersion in water, then transmits a signal that sets off a loud alarm at one or more remote Base Station receivers. DuMor Inc. is an industry leader and U.S. manufacturer of quality site furnishings. For more than 27 years, DuMor has produced a full line of site furnishings, including benches, receptacles, tables and planters, along with numerous other outdoor furnishing products. Site furnishings by DuMor are available with a variety of polyester powder finishes, heavy-duty support options, recycled plastic colors, as well as high-grade woods, and DuMor backs its products with one of the strongest warranties in the industry. Most Dependable Fountains Inc. designs and builds a large selection of outdoor drinking fountains, showers, pet fountains, misters, play towers and more. All of the products are built to last and to complement the landscape design of your outdoor area. Visit the Web site to view products and options, download the CAD file or request a quote.